If you have been injured as the result of an accident which wasn’t your fault you could be entitled to make a claim for personal injury. Making a claim with the help of an experienced personal injury lawyer like First Personal Injury is completely stress-free and won’t cost you anything. We are very experienced in this area of law and employ many experienced solicitors who have worked on a variety of injury claims from whiplash to accidents at work. 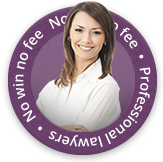 You won’t have to pay and you will receive 100% of the compensation awarded. So what kind of things can be claimed for? There are two types of damages that can be claimed for – general damages and special damages. These cover non-financial losses and most commonly relate to physical or psychological injuries that have been sustained in an accident that wasn’t your fault. General damages include pain and suffering, loss of amenity and loss of congenial employment. Special damages are the financial losses and expenses that arise as a result of the injury and include loss of earnings, travel expenses, medical expenses, care costs, motor insurance excess and cost of damage to property. If you’ve been injured in an accident which wasn’t your fault you could be entitled to make a personal injury claim and you should speak to an experienced personal injury lawyer like First Personal Injury. If you or someone you know has been in an accident that wasn’t their fault they may be entitled to accident compensation. Our solicitors are here to help with your potential accident or injury compensation claims. Contact First Personal Injury on 0800 808 9740 or complete our online enquiry form today.